The press discuss Finland's top position in the Good Country Index, a 10-fold increase in Chinese visitors to Lapland and the a preference for imported vegetables. 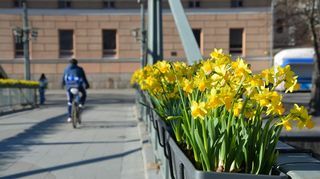 Finland ranks first in the Good Country Index, which measures each country’s contribution to the common good of humanity, reports daily Helsingin Sanomat. Relative to the size of its economy, Finland is the biggest net contributor to mankind, says the survey which measures 35 factors ranging from science to peace, world order, climate, equality and health. According to HS, Finland fared best in categories that assessed press freedom, direct investments abroad, the number of patents, freedom of movement, cyber security and free trade, among others. Foreign Minister Timo Soini will accept the award at the World Economic Forum in Davos later this week, HS said. "Finland is a good solid country, and we are trusted in international arenas. This is a result of consistent work which I can see in my job almost daily. This award will benefit the current debate and atmosphere in Finland," Soini said in a statement. Ireland, Sweden, Germany and Denmark also featured among the top five countries, while Iraq, Libya and Jemen ranked at the bottom of the list. The US was ranked 40, just above Russia. Finland, whose inhabitants make up 0.07 percent of the global population, was rated the world’s safest and most stable country, with the cleanest air and happiest people last year, HS said. The number of Chinese tourists in Lapland doubled between 2016 and 2017, reports tabloid Iltalehti, as Finland benefited from its reputation as a safe country for travellers. "There are about 35,000 annual overnight stays by Chinese visitors in Rovaniemi now. Ten years ago, it was 3,000-4,000," says Sanna Kärkkäinen from Visit Rovaniemi tourist information. “The period from 2016 to 2017 was really historical for us as the Chinese came to Finland en masse." "There were several terrorist attacks in Europe during those years and these security crises benefited us. Our environment is not only clean and pure, it also provides safety," Kärkkäinen said. So-called school camps targetting Chinese youth could be the next big thing, Kärkkäinen said. "This would be an opportunity to sell the summer season in Lapland while teaching young people about respecting nature and the special features of Arctic areas," she added. According to another story in Iltalehti, Chinese tourists are willing to spend as much as 5,000 euros to see Santa Claus and the Northern Lights. In other news, daily Karjalainen reports that people in Finland spend more money than before on fruit and vegetables but the kilogram quantity sold has not increased. This is because sales of packaged and more expensive products have grown the most, the paper said, based on figures from the Central Organisation for Finnish Horticulture. These include imported berries and avocados at the expense of salad, cabbage, broccoli and root vegetables. Director Timo Taulavuori from the organisation said one way for consumers to save money is to choose basic Finnish products and buy imported vegetables and fruit only when they are in season. Temperatures may even soar to 20 degrees Celsius on Saturday. A number of newly-elected Finnish MPs say they will also run for European Parliament seats. Yle journalist Jessikka Aro, cited in the press freedom report, speaks at the index's launch in Washington on Thursday. Many observers across the country say that Finland's general election mainstreamed discrimination. Maundy Thursday and Easter Monday are two of the busiest travel days of the year.